This beautiful Mommy and daddy to be spent the afternoon in Rhode Island at Chase farm with me, walking around the farm, and chasing the gorgeous light! 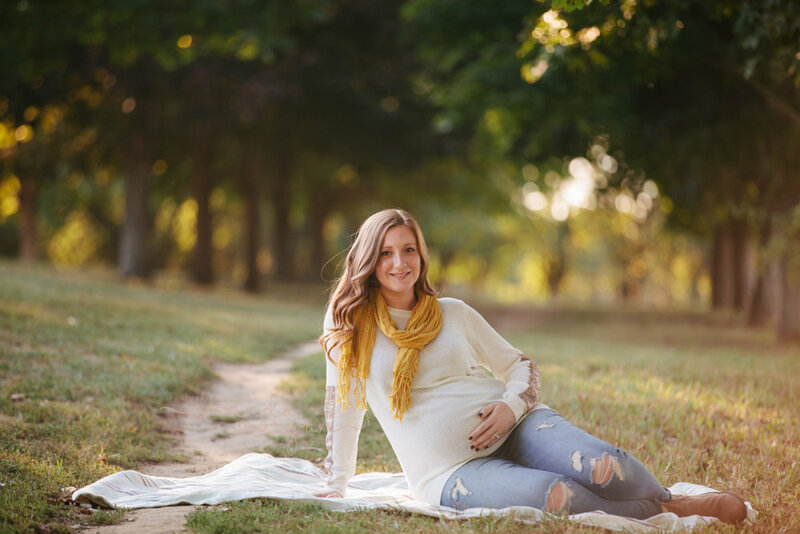 Lauren had brought a few options for maternity outfits, she had something a little more casual and a beautiful etsy maternity dress to play around with. 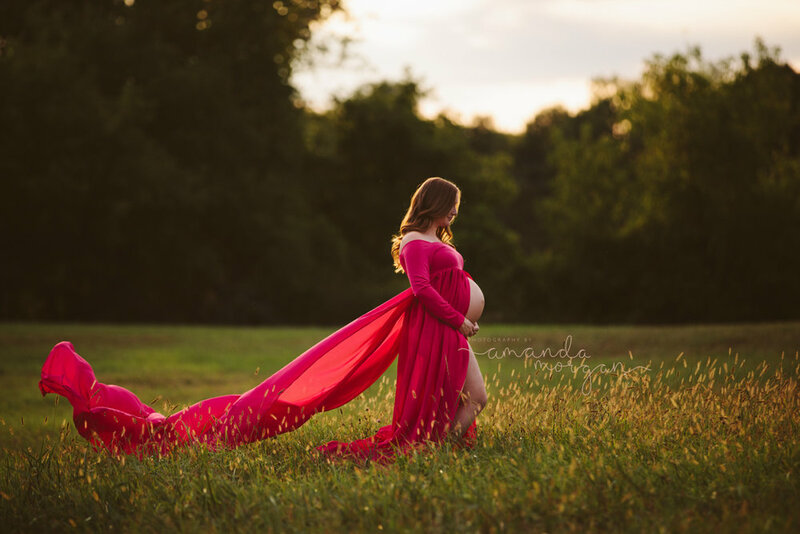 Maternity photoshoots can be tough for mommies to be because of all the moving and grooving that late in your pregnancy. However, Lauren was such a trooper she hiked all over with me and changed right in the fields to make sure we didn't miss sunset. We had a few trees that had changed already to really capture that fall atmosphere. 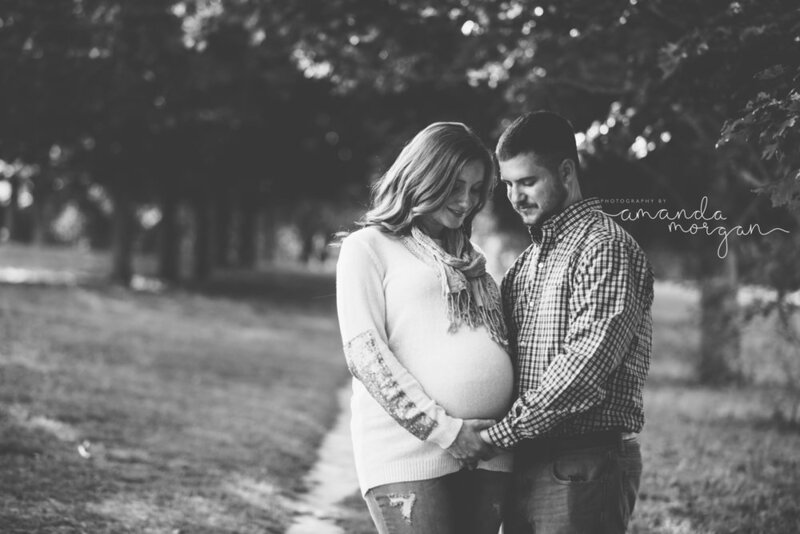 In just a few short weeks after their shoot, their little girl had arrived and I was able to go to their home to capture some of her first moments as well!